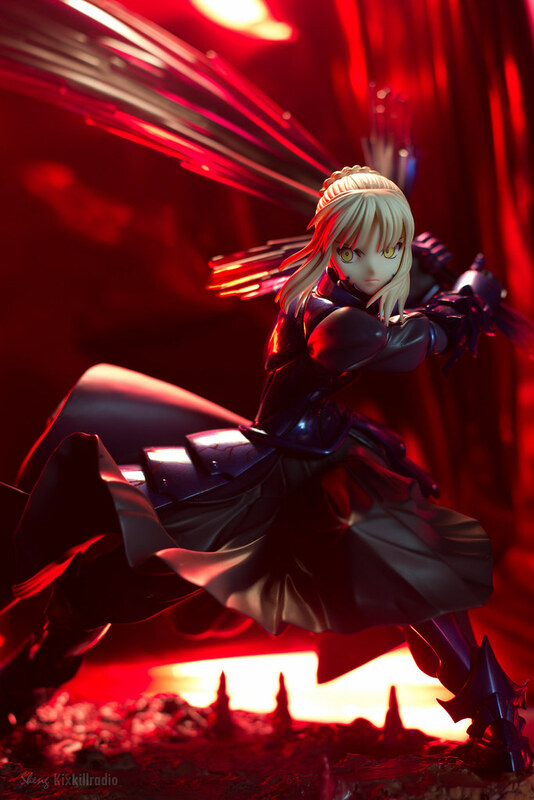 My next photo set is Saber Alter Vortigern, it is 1/7 scale figure by Good Smile Company. 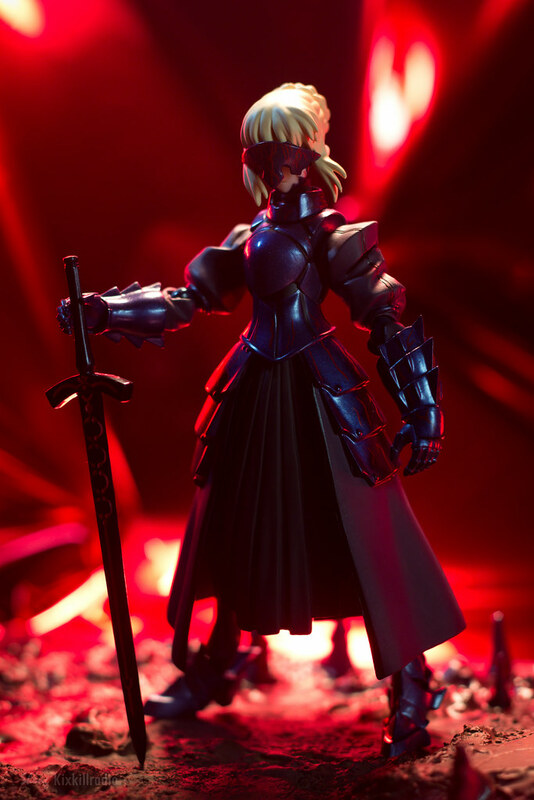 I have this figure for so long and I just unboxed her last night. I missed having it pre-ordered until My Japanese Hobby sent me a message that one of his customers cancelled the order so I happily took it. I bought it a little more than $100 and she is all worth it. 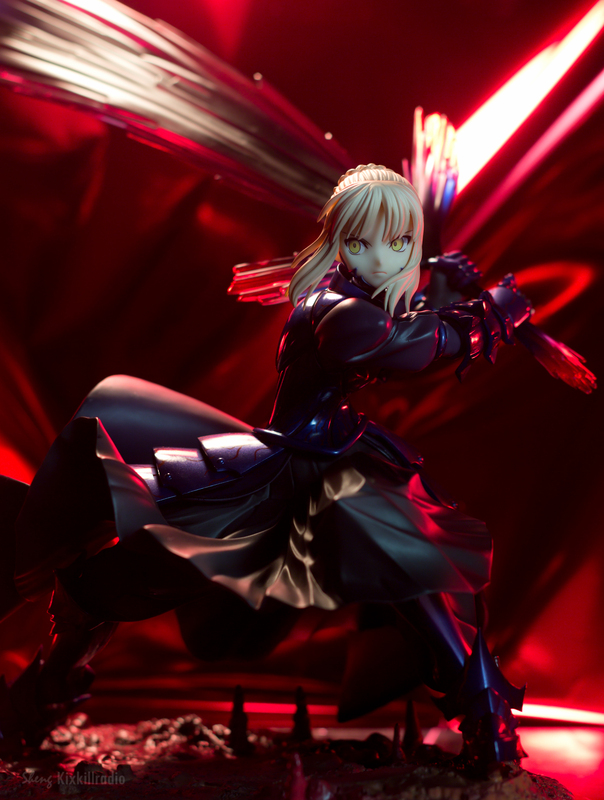 There is something about Saber Alter that makes me want to buy her. 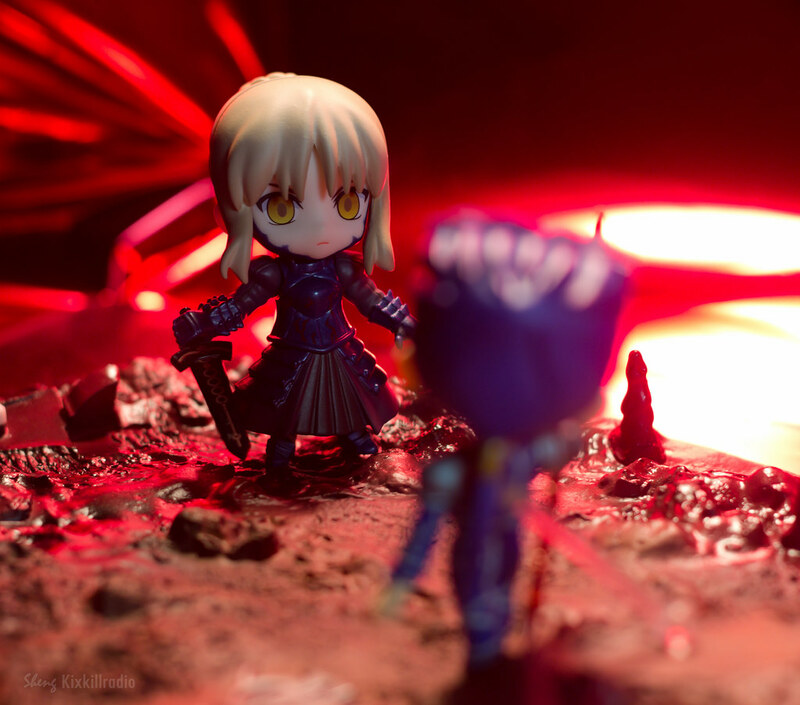 I currently own her figma and nendoroid petite as well. 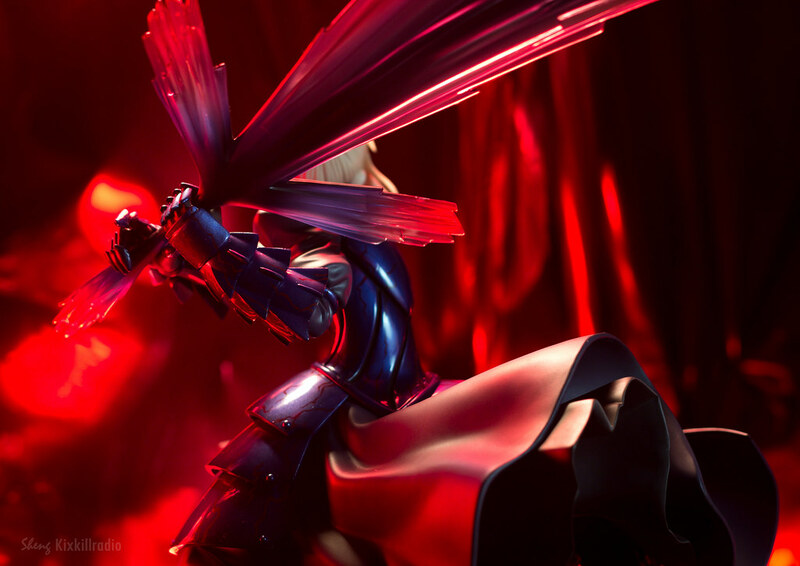 I like how badass she looks by her dark armor. 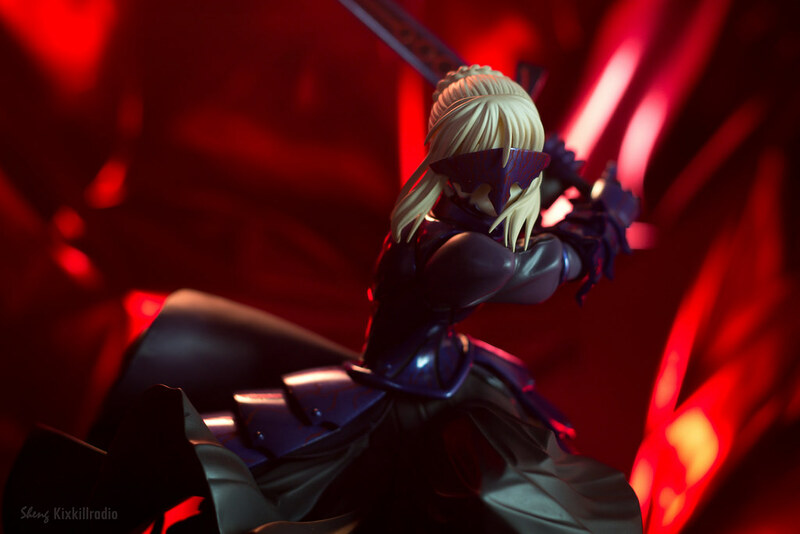 In this figure, its magnificent slashing pose and eyes are intense that you can see the dark energy within her and yet she is still beautiful. 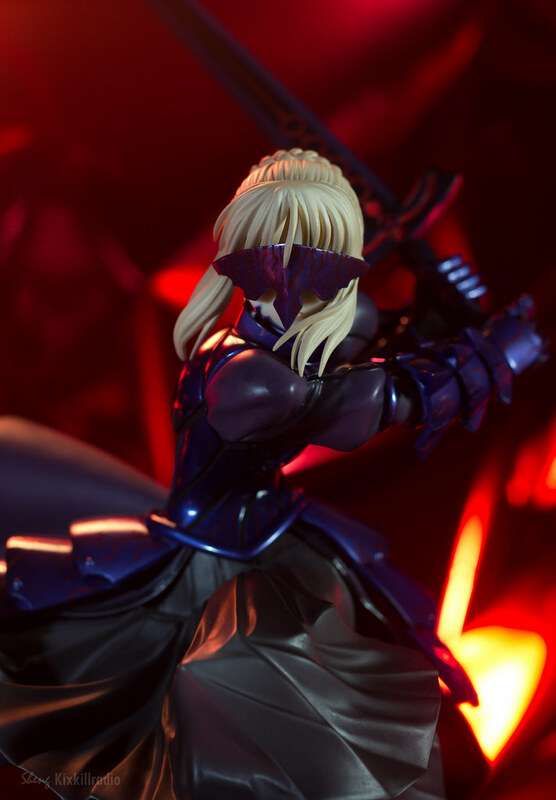 I also photographed Saber Alter Max Factory Figma and Nendoroid Petite. 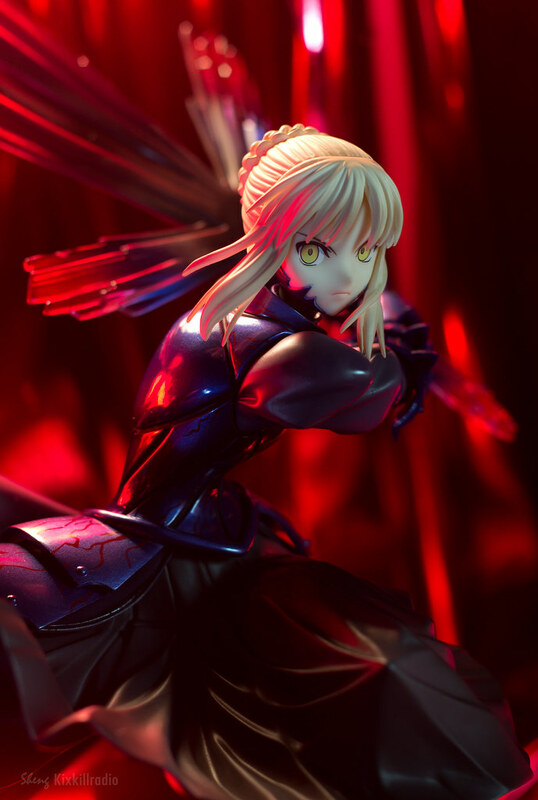 I hope you like this set of Saber Alter figure photos. That shot is looking right at you. 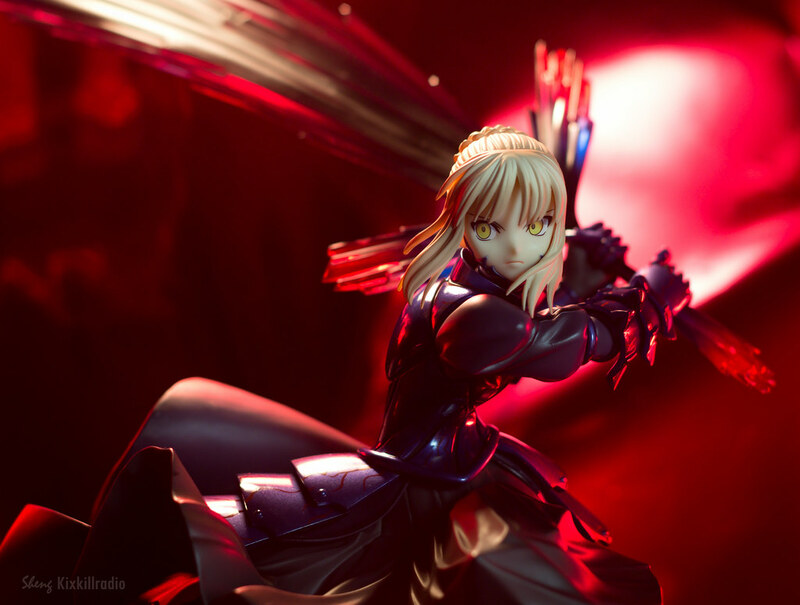 That Saber’s look gives me the chills. Wohow. 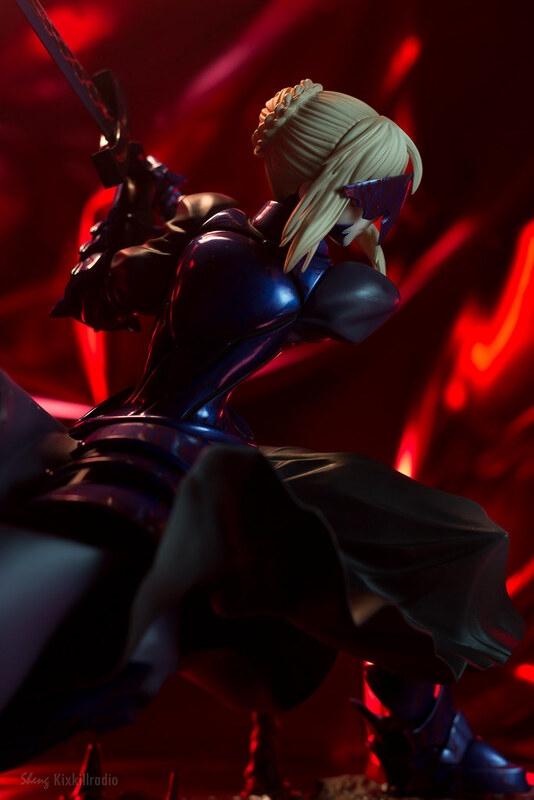 She’s a very cool figure, the psycho eyes are something interesting. 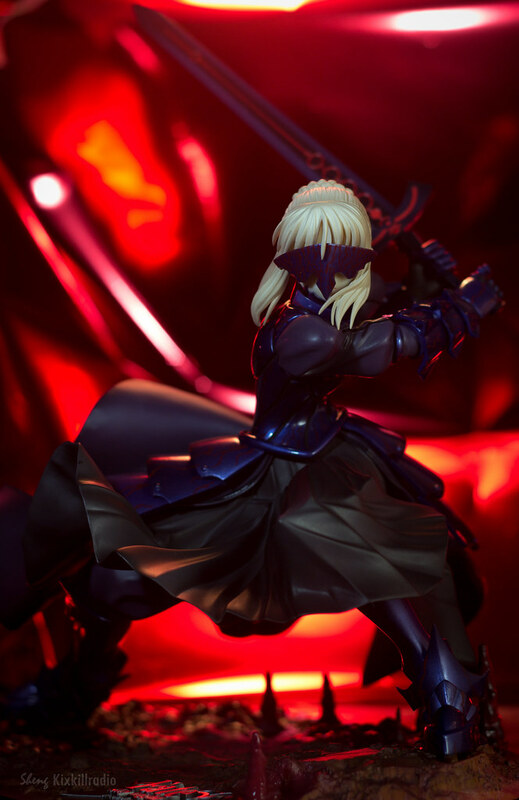 Yes that Saber Alter eyes are wicked and the visor looks really cool on her. Cool set! 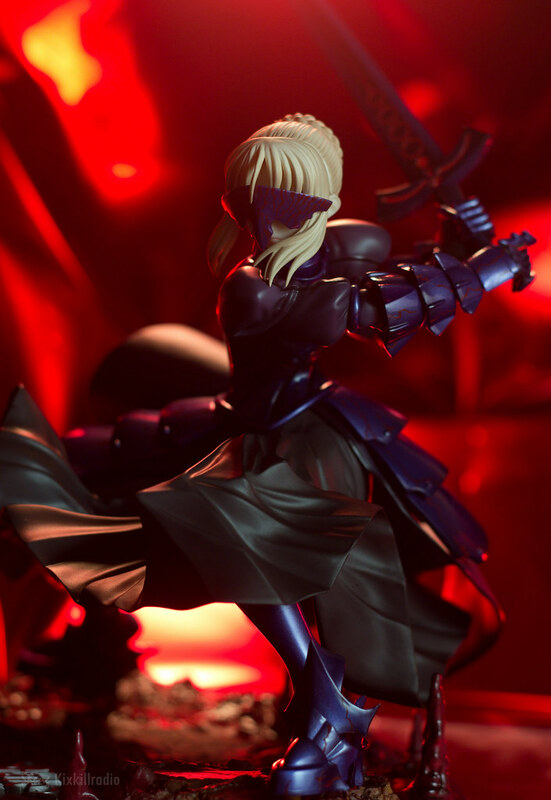 The stark red light works well with the figure and her sword. The backdrop looks suitably hellish. I am so happy that you enjoyed this set. Amazing photos! 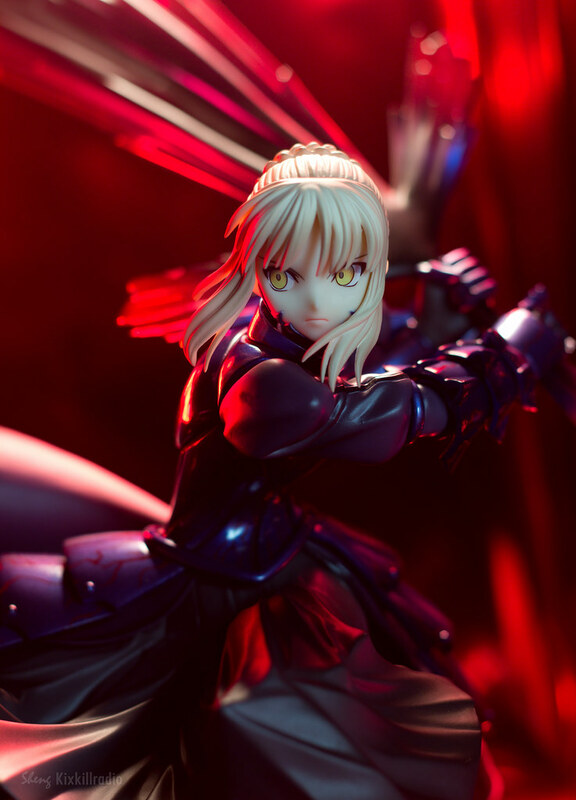 The lighting & backdrop makes Saber look really intense, Love it!